The ANTIOCH MARINA is located on the south side of the San Joaquin River along the Antioch Riverfront where it adjoins the Sacramento river Antioch Marina’s Location cannot be beat! A fishing paradise and a sail boaters dream, Antioch’s suburb location offers diverse fishing locations minutes away such as Sherman Lake and Winter Island. For sailboats, the wide channel of the San Joaquin provides a large relaxed area for a day sail along the Antioch Riverfront. Owned and operated by the City of Antioch, the 310-berth public Marina and Boat Launch is an attractive, multi-use facility. 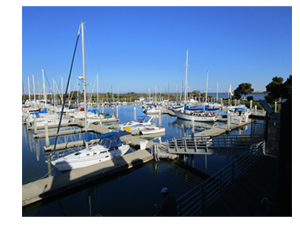 Located in eastern Contra Costa County, the Marina is approximately 3 1/4 miles west of the Antioch Bridge.